The memories that Nick Nicolaides recently contributed about the American touring team that was quartered in Dublin for the 1951 season brought back my memories of the Triumph shop that another member of that side, Johnny Gibson, owned in La Habra, California in the 1960s. 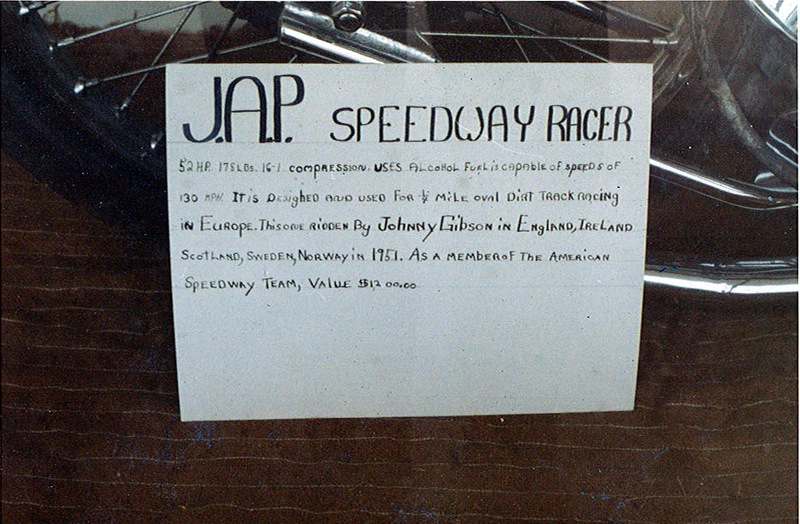 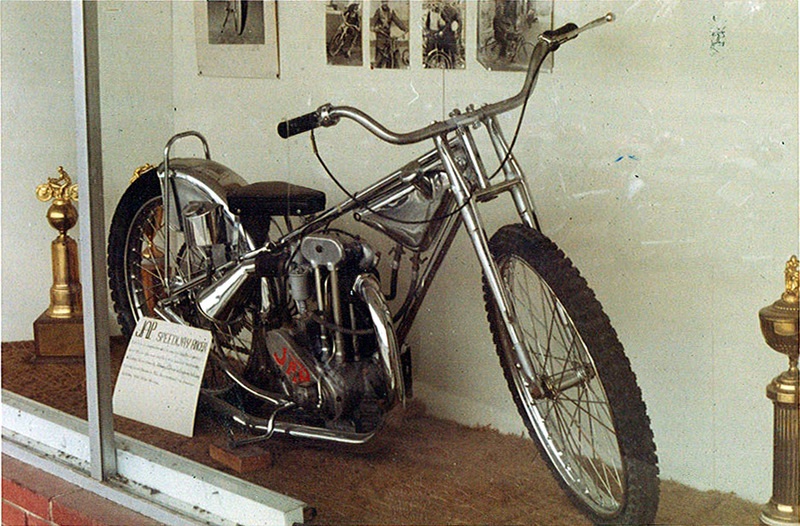 Gibson, who had been one of the young stars of the late 1940s at Lincoln Park speedway in Los Angeles, had his JAP from the 1951 tour on display in the front window, and one day in 1967 I took a few photos of it. 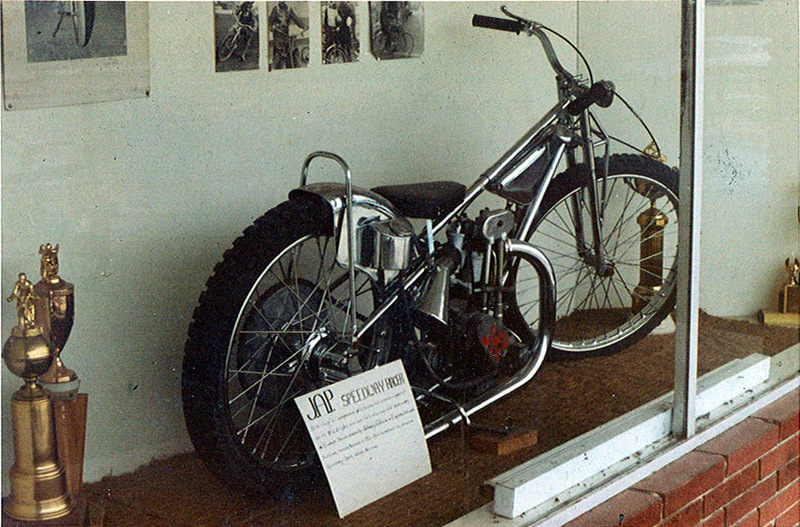 The renaissance of speedway in California was still a year in the future, so I had yet to see a speedway bike in action. 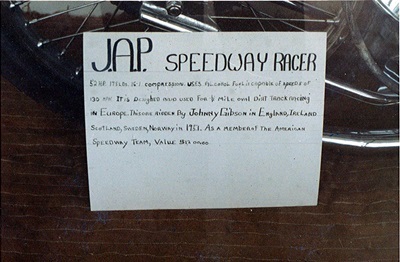 Notice that Gibson valued the bike at 1,200 US dollars, seemingly a pittance, but about the price of a new Triumph Bonneville or TR6 at that time.